Experts had been unable to predict where the installation, which is roughly the size of a school bus, would come down but in the end it re-entered the earth’s atmosphere over the South Pacific. 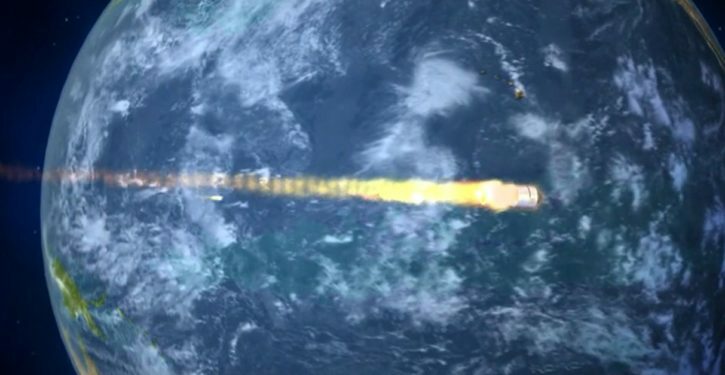 The craft re-entered the atmosphere around 8.15am Beijing time (0015GMT) and the ‘vast majority’ of it had burnt up upon re-entry, the China Manned Space Engineering Office said. Just minutes before, their best estimate predicted that it was expected to re-enter off the Brazilian coast in the South Atlantic near the cities of Sao Paulo and Rio de Janeiro.